> Company based on attention to detail. > Over 40,000 satisfied customers. > You’re not left doing your Adoption alone. > Our Service is 100% Court Guaranteed. ReliableAdoption.ca is the industry leader in Canada for affordable Stepparent Adoption document preparation. Our professional and inexpensive service will enable you to complete your stepparent adoption documents without incurring the high cost of an adoption attorney. While other online adoptions companies were purchasing forms from us to “get into the business”, ReliableAdoption has been the innovator and the company with the experience to handle your adoption needs. The most experience and the lowest cost. We service our customers throughout Canada, including Alberta, British Columbia, Newfoundland-Labrador, Manitoba, New Brunswick, Northwest Territories, Nova Scotia, Nunavut, Ontario, Prince Edward Island, Saskatchewan and Yukon. If you need to complete your stepparent adoption, we can help you save thousands of the cost of a lawyer. Give us a call today at (800)878-2109. 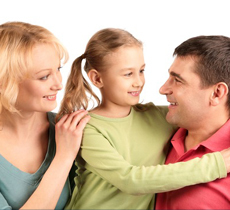 We simplify the Stepparent Adoption process. “Our adoption was finalized last week. The Judge complemented us on our documents and for being prepared. You made the process simple and saved us money. We know how important this adoption is to you and your child. We make the process simple so you can concentrate on your family. The documents are the actual documents for your state and county and are customized to your specific situation, taking into consideration the child, the absent parent and other factors in your case. 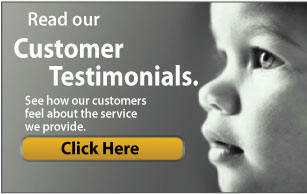 ReliableAdoption.ca is the most respected, experienced and reliable service of its kind. Our customer support staff is available to help and assist you through the process, and deliver the professional care your adoption case deserves. Stepparent Adoption in your Province. A FREE guide to help you keep informed about the stepparent adoption process. Personal Attention from our knowledgeable staff. Up to date court approved adoption forms. Easy Step Parent Adoption Instructions.